The letter comes after the pop star vowed to stop President Trump from playing her songs at future rallies. 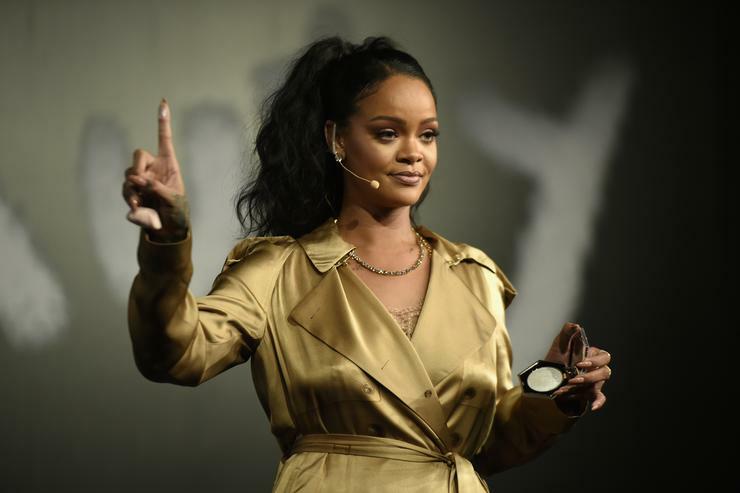 Rihanna, a Barbadian singer, can not vote in the United States but does not hide her political leanings and has been a vocal critic of the president, who she called an "immoral pig" after he signed an executive order banning citizens of seven Muslim countries from entering the United States in January 2017. The Anti singer has had her say on the US President's use of her music at his rallies, slamming the MAGA gatherings as "tragic" and vowing to prevent Donald Trump from ever using her tunes for his political gain again. Rihanna is the latest musician to slam United States president Donald Trump for playing her songs at Republican rallies. Rihanna's warning to the president came hours after she endorsed Andrew Gillum, the Democratic candidate for governor of Florida, in an Instagram post. According to Rucker, the song was played while aides tossed Trump T-shirts into the crowd. Axl Rose, the frontman for "80s rock band Guns N" Roses, has had enough of Donald Trump, saying the USA president has "no regard for truth, ethics, morals or empathy of any kind". On Monday night, Rihanna's legal team served the Trump campaign with a cease and desist. This is coming just nearly a week after Pharrell Williams also said he will be suing Donald Trump for playing his smash hit song, Happy. In August, Aerosmith's Steven Tyler sent Trump a cease-and-desist letter over use of the song "Livin' on the Edge" at a political rally without permission. The answer lies in the intricate thicket of licensing and copyright law, which in the past has given political campaigns a lot of leeway to choose whatever songs they like. In 1984, Bruce Springsteen refused to let Ronald Reagan use 'Born In The U.S.A.' during his re-election campaign - you know, the song that's famously about working class struggle. "Good for @rihanna", wrote Rep. Eric Swalwell (Calif.) on Twitter.